The “Laos Nine” is not the name of a rock band. It is the name given to a group of stateless orphans, aged 14 to 20, in search of a life. Each has a story that defies imagination about human cruelty, but their stories tell the rest of us how precious life is. This is a story about how they got their name. They do not know their parents. Things like home, school, refrigeration and TV were not a part of their growing-up process. Instead, they survived by begging and stealing food. They slept under bridges and bushes. About two years ago, they met for the first time on the streets in Hyesan, a North Korean river town across the Chinese border. They were brought together by a common goal: to seek food and shelter. They did not fare well in Hyesan. The city and its people were struggling themselves and did not have resources to share with the kids. Townspeople called the kids “ggotjebi,” (wandering beggars) and shooed them away. The kids decided to cross the Yalu River to the Chinese side, the affluent side. Kim Kang-shik was among them. A 23-year-old resident of Seoul now, he says he had lived in North Korea as a ggotjebi since he was 11 years old, surviving “by rummaging through trash and stealing food.” He knew that crossing was a dangerous undertaking because a couple of the kids in the group had crossed the river multiple times before, only to be rounded up and dumped back on the North Korean side. They’d collected nasty wounds and scars in the process, from North Korean Border guards’ boots and sticks. One wintry night, they embarked on the journey of their lives. Not knowing whether they would make the crossing, they slipped and slid on the frozen river, some wearing shoes, some not, led by the veteran crossers in the group. Everyone fared relatively well, other than the frostbite the shoeless ones suffered. Once across the river, they stayed together along the river bank, sharing what little food they could gather. They ate snow when there was nothing to pick or steal, and kept warm by forming a huddle around a fire. It would have made more sense for these ggotjebi kids to separate themselves from the group to expedite their search for precious, stray kernels of corn in dirt alleyways, or discarded egg shells with traces of white still inside. Nevertheless, they stayed together. They didn’t view each other as competitors for food, but comrades in life. No strangers to death, they decided that they would live together or die together. The cold and hunger did not deter them from bonding. As it turned out, they did well by staying together. A kind soul noticed the group and gave them refuge. It wasn’t until the next summer that they learned about life outside their safe house. They learned that there were places where they could move about freely, and come and go as they wished without fear of reprisal. They heard about South Korea, America and other hopeful destinations, and they wanted to go there. Kim Kang-shik was one of the early ones to make his way to Seoul. He was just two hours away by air, but first he had to go on a 10-day bus ride across China to Laos, more than 3,000 kilometers away, followed by a seven-hour airplane ride back to Seoul. He didn’t understand why he had to go to Seoul in such a roundabout way, but he dutifully followed his guide and landed in Seoul. Once in Seoul, he kept in touch with his friends back home, talking to them regularly over the phone. Sometime later, he heard that his friends were about to come to Seoul via Laos. They’d be back together again. 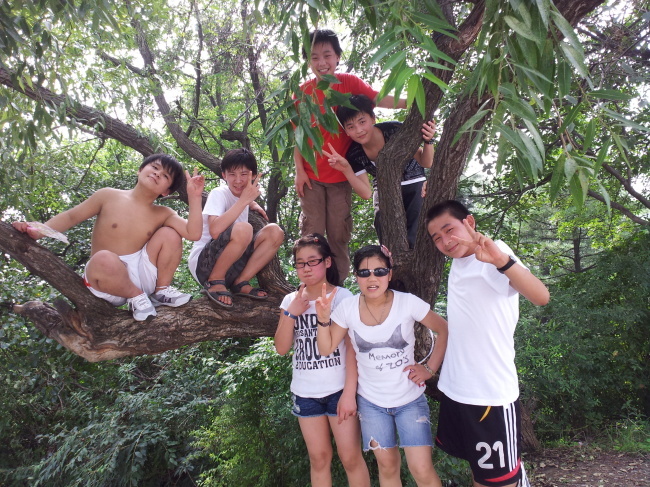 His friends left Changbai, China, around May 1 this year. Kim kept contact with his friends on the phone as their bus made its way through China. He lost contact with them around May 10, when the bus entered Laos. He didn’t know what happened to them until about 18 days later when he heard the news that nine North Korean agents had intercepted his friends in Laos and flown them to Pyongyang. Despite Kim’s plea, his friends didn’t make it out. On June 20, the North Korean government held a press conference in Pyongyang. The Laos Nine were there. The Nine took turns in saying that they were kept in China and taken to Laos against their will. On the surface, the journey that they had begun on the streets of Hyesan seems to have ended badly. However, they managed to garner attention along the way and won many hearts. People around the world want to know what will happen to them. Will they go back to the streets, or will they live in an orphanage in Pyongyang? Will they go to school? Will they stay together, or go separate ways? How their story ends is up to the international community that Kim is referring to. The Nine could use a break. The North Korean government is showing that they are doing fine in Pyongyang. Human rights activists are not so optimistic, pointing to North Korea’s dismal record in way of human rights. They insist that international organizations like United Nations Human Rights Council, Amnesty International and the Red Cross to keep an eye on Laos Nine to make sure that they are indeed fine. Bottom line, they are survivors, remarkable human beings. They should be remembered for showing the rest of us their indomitable will to survive. They reflect the efforts of many more who share the same challenges to live and make it in this world. They deserve our support to live a life they can call their own. John H. Cha lives and writes in Oakland, California. 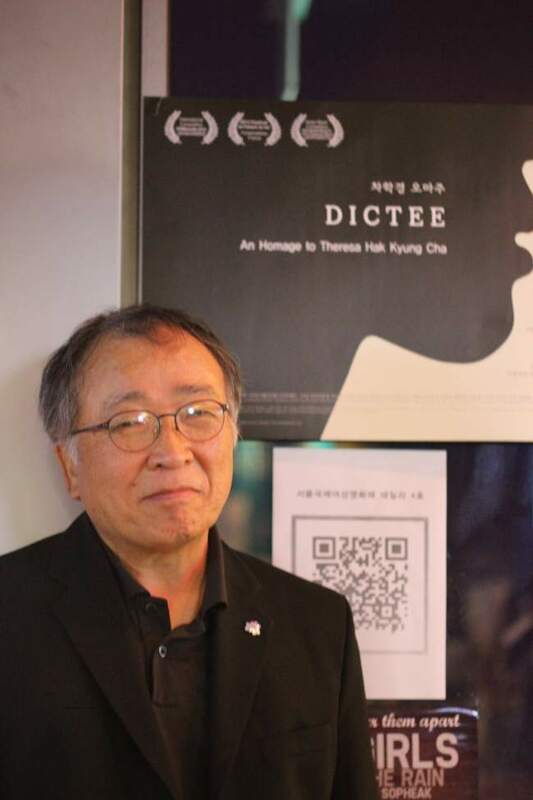 He has written several volumes of biographies about Korean and American leaders and is an award-winning translator of Korean literature into English. ― Ed.